Not sure where to invest your money? That’s the reason many people just park it in a savings account where it’s making no interest. You don’t have to be an expert to invest. You just have to jump in. Everyone should be investing. So let’s get active and see how and where to invest $100, $1000, or $10,000. It might not sound like much but when it comes to investing, time is more important than the amount. If your 18-year-old-self had invested $100 a month at an average interest of 7%, your 38-year-old self would have $49,581.56. If you are considerably older than 18, the best time to start investing was when you were 18; the second best time is now. It’s almost never too late but every day, month, or year you wait to start investing, is wealth you are foregoing. Before we start, it’s important to mention that everything in this article is focused on the long-term. Whether you’re investing in the US stock market or buying rental properties, you’ll always perform better if you’re focused on the long-term. It is certainly possible to do well in the short-term, but that is closer to gambling than investing. Ok, let us move on to your investing strategy. If you are flailing around in the investing wilderness there is a great way to start; Betterment is a robo-advisors. 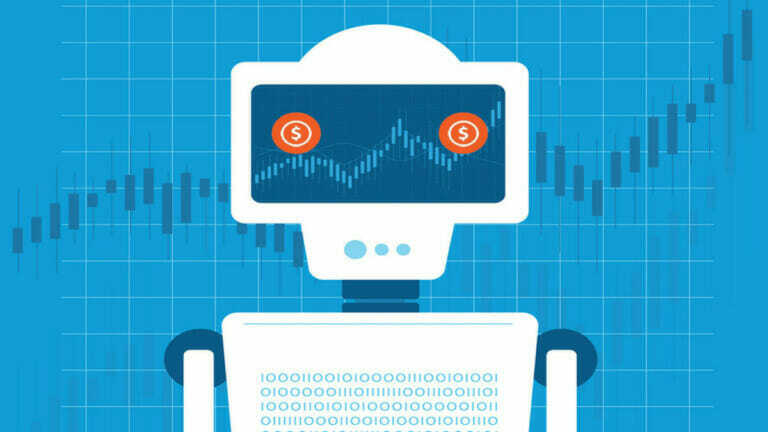 Robo-advisors use computer-generated algorithms and software to make investment decisions. It takes humans out of the equation. This is why robo-advisors have fees much lower than those of traditional financial advisors and actively managed funds. There is no minimum to open a Betterment account. Part of the Betterment philosophy is to make investing available to everyone. The fee to invest with Betterment is very low-cost. For accounts worth $0-$10,000, the fee is 0.25% if you auto-deposit at least $100 a month. When you open any investment account, auto-deposit is strongly recommended. You can’t spend money you don’t see so auto-deposit fits right into LMM’s set it and forget it philosophy. We don’t want you to spend lots of time on your investments. Auto-deposit removes the need not only to remember to do it but actually doing it once you remember you’re supposed to. 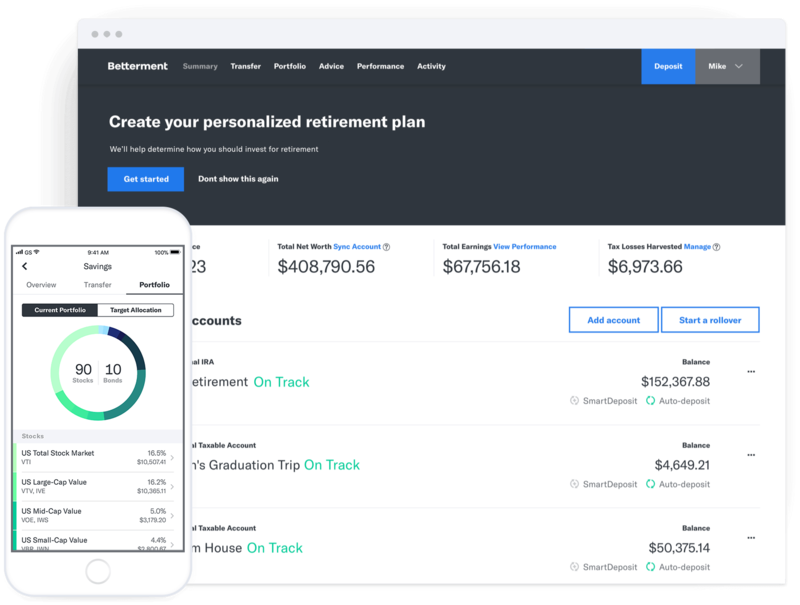 When you open your account, Betterment will ask you a few questions including questions to determine what your investing goals are. Do you want to save for a down payment on a home, to start a business, to retire? With this information, Betterment will build a portfolio that matches your goals, your age, and your risk tolerance. Stocks are riskier than bonds so a 90/10 stock to bonds ratio is a riskier portfolio than a 40/60 ration. Generally the younger you are, the higher your risk tolerance should be. Investing $100 gets your feet wet and gets you into the habit of investing. And Betterment requires no special knowledge, no hard decisions so it is great for new investors. No books to read, no complicated equations to calculate, just a few mouse clicks and you’re an investor. We did an in-depth review of Betterment. There are a few things that are Personal Finance 101, things that everyone should do to be financially healthy; make a budget (we love Mint), build an emergency fund, invest early, and have more than one source of income. That’s where your side hustle comes in. 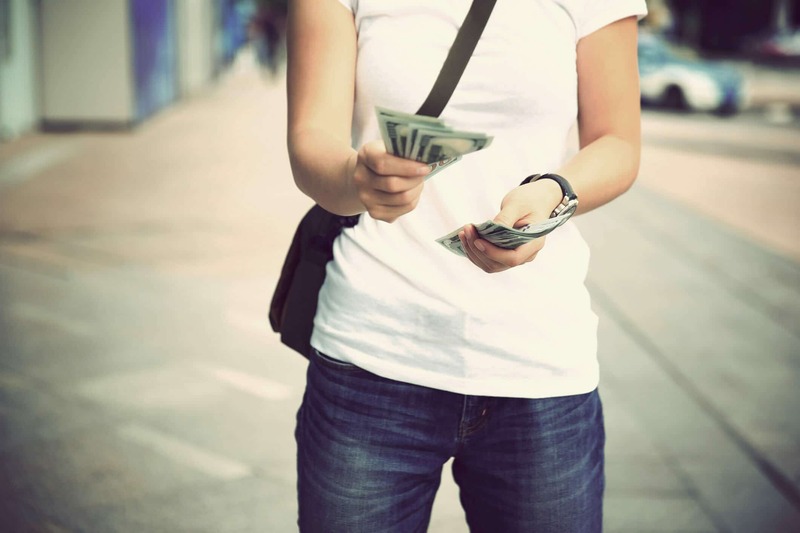 A side hustle is a way to bring in some extra money in addition to your 9-5 job. It might be a little money at first, it might develop into big money one day. The point is, it’s dangerous to rely on a single source of income. Any of us could lose our jobs due to our own behavior or through no fault of our own. You don’t want to put a ton of money into a side hustle initially. It might take a few tries before you find something that you like makes you money so you don’t want to waste a lot of money on those things that don’t fit that description. But $100 is not too much of a loss for most of us to absorb during our trial and error phase of side hustling. Here are a few ideas you can try on for size for $100 or less. Take a look at freelancer sites like Upwork and see what kind of jobs are available. When most people hear the word “freelance” they think of writing and while there are certainly plenty of postings for writers, there are dozens of other categories too. See if any of them fit your skills, make a profile on the sites, include some examples of past work if you have any, if not, create a portfolio and start applying. In the beginning, it’s worthwhile to apply for a few low paying jobs. It will give you a body of work to include in your profile and hopefully get you a few good reviews. Upwork is free to join. You can pay for various upgrades but I’ve gotten plenty of work from both sites and have never paid a cent. Spend some evenings and weekends babysitting. Join a site like Sittercity. Parents post jobs on Sittercity for everything from a full-time nanny to the occasional date night sitter. You can apply to the postings, meet the family and get hired. The average pay for a sitter is a little over $12 an hour. Those ultra-competitive tiger parents want to make sure their special cornflakes get into the best schools, whether that means pre-school for three-year-olds or the Ivy League for eighteen-year-olds. But in the meantime, an easy online job is tutoring online. Wyzant is a site where parents and students shop for tutors for a variety of subjects from algebra to science to test prep. 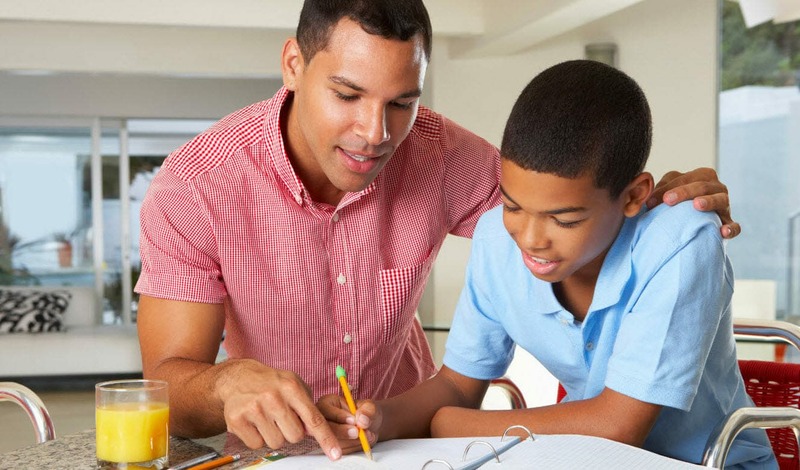 There is a wide range of ages in need of tutors as well, from elementary age through college. You can set your schedule and fees, and Wyzant takes a cut. Drive for Uber. The hourly pay after expenses varies from city to city but you can expect to make around $10 an hour. In larger cities, it will often be much more and in smaller cities, sometimes a little less. The appeal of Uber is that you can set your own schedule and there is no commitment. You can work your regular job and make some side income in just a few hours on a weekend or some evenings. A $1000 seems like a lot to some of us. If you don’t have that right now, there are a couple of ways you can accumulate it. If you get paid every two weeks, you need to set aside $39 per check. I know things are tight but almost everyone reading this can figure out a way to cut just $20 a week from your spending. By doing so, at the end of the year, boom, you’ll have $1000 to invest. Make some changes in your monthly expenses. Instead of paying $100 or more a month for your cell phone plan with one of the big carriers, switch to a much cheaper service like Republic Wireless. Sign up for Trim. They will cull through your bank and credit card transactions and look for ways to save you money. They will find recurring monthly charges for things like Netflix, gym memberships, or Pandora. If you want to cancel them, Trim will do it for you. Go through your budget and look for spending leaks, areas where you are spending way more than you realized. Food is almost always a place where you can cut out expenses. If you don’t have a budget, set one up in Mint. It’s easy to use and free. Get a good cash back credit card like Chase Freedom Unlimited so when you are spending on necessities, you’re getting some money back. Got your $1000? Good. Now here’s what you can do with it. Real estate is one of our favorite forms of passive income and we all need at least one source of passive income. There are only so many hours a day to work so we want money coming in even when we’re not working. You can’t buy a rental property for $1000 but there are other ways to invest in real estate. You can invest in a REIT, which is a real estate investment trust. The gains of real estate investing without the hassle of being a landlord or locking your money up in a home when you’re not ready for that yet. If you looking to invest in real estate but looking for something a little more hands-off checkout Fundrise or RealtyShares where you can invest in crowdfunded real estate projects. 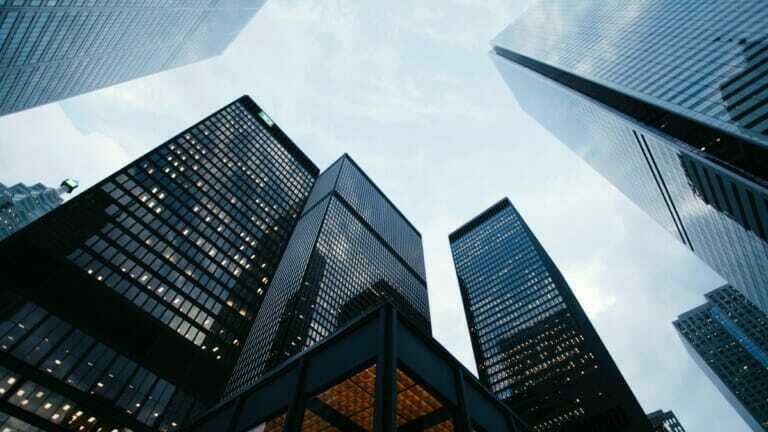 Fundrise allows individuals to invest in commercial real estate online through an electronic REIT. Their crowdsourcing model sets them apart from a traditional REIT allowing the average investor to participate in deals for as little as $1000. Since the eREIT is sold directly to investors cutting out middle-men, they can have fees lower than 90% of the competition. Investing for your retirement is one of the most important, maybe the most important thing you can do for your financial health. Take that $1000 and open a retirement account, an IRA. It takes a little more research than just opening an investment account. Luckily LMM has done the work for you! There are traditional IRA’s and Roth IRA’s. 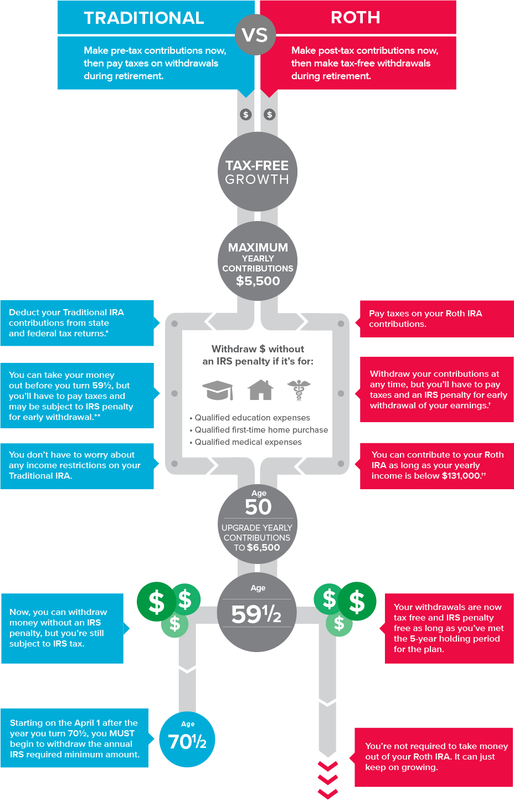 A Traditional IRA is not taxed upfront but at the point of withdrawal. The money grows tax-deferred. Upon withdrawal after age 59 1/2, the money is taxed as income. For 2017, you can contribute up to $5,500, $6,500 if you are aged 50 or older. A Roth IRA is taxed upfront and not upon withdrawal after age 59 1/2. For 2017, the contribution limits are the same as for a Traditional IRA. Which investment options are right for you? When you’re in the prime of your career, you’re being taxed at a higher rate than you are likely to be taxed at during retirement. If as much as you can predict, this would be the case for you, a Traditional IRA is the best investing option. A Roth IRA is more flexible. You can withdraw the money you contribute but not earnings without incurring an early withdrawal penalty so if you plan to raid your retirement account for something like a down payment for a home, a Roth is better for you. If your employer provides you a 401K and you haven’t reached the max contribution yet, increase your withholding amount. The max in 2017 for those aged 49 and under is $18,000 and an additional $6000 for those aged 50 and over. Peer to peer lending takes banks out of the equation and brings people who need loans and people who have money to lend, together. In the past, if you wanted a loan for a house, car, home repair, or consolidating credit card debt, you had to go to a bank and apply for a loan. The bank could approve or deny based on your credit history, how much you make, and what your overall financial situation looked like. They would also charge you a higher interest rate than a smaller investor might because they know you don’t have anywhere else to go. Now, sites like Lending Club take the banks out of the process and allow real humans to lend other people money and make a profit. The loans are funded by personal investors instead of one big bank. Like any loan, it’s paid back with interest and that interest is the profit for the lender. For investors, this is very appealing, because they can lend a few borrow small amounts and continuously collect interest as the borrower pays back the debt. Lending Club has collected tons of data on the borrowers which gives lenders a lot of information when deciding whom to lend to. Andrew shared his personal Lending Club strategy. Okay, it sounds corny but if you have an extra $1000, investing yourself is not the worst thing you could do with it. Investing in yourself is the best investment. If there is a class that would help you advance in your current job or an additional certification you could get that would increase your salary, that’s a great way to spend money. Buy a few books on personal finance. There are some good ones out there whether you’re a beginner or someone looking to maximize tax breaks or get into rental properties. Just in case you’re interested, we compiled a list of our favorite personal finance books for you. Buy a new mattress. Getting enough and restful sleep is one of the best things you can do for your mental and physical health. And when those things are improved, the rest of your life will improve including your job performance and ability to resist temptation whether it’s the temptation of that extra slice of cake or the temptation to overspend. Oooh la la, Mr/Ms. Money Pants, running around with $10,000 to invest! I’m not asking or judging how you got it. But we have to make it work for you. An HSA is a health savings account. 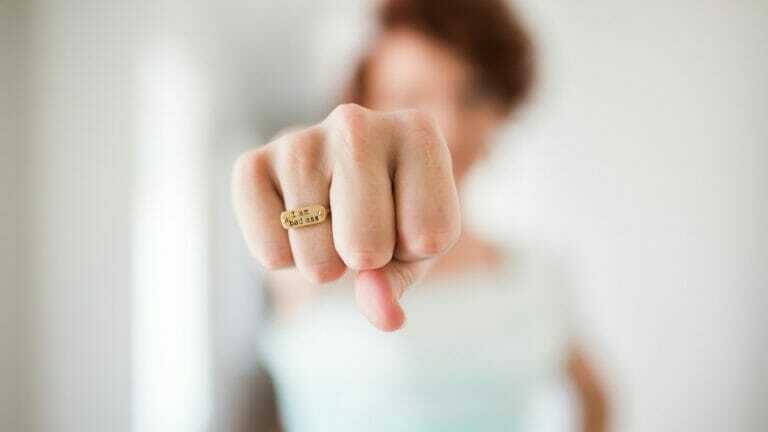 This is for those who have a high deductible insurance plan. An HSA is a tax-free way to pay and save for current and future medicals expenses. And face it, medical costs are not going down. Between that and the fact that medical bills are now the leading cause of bankruptcy, an HSA is a good way to protect yourself from possible financial ruin. We did a deep dive episode for HSA’s that will help explain all the details. Got a kiddo or two? The cost of higher education is not getting any cheaper. The cost of a college education has increased by 1,120% since 1978. College is still a good investment, though. The average college graduate will earn $830,000 more than the average high school graduate over a lifetime. To help ensure that your kid reaps those extra dollars without bankrupting you, a 529 plan is a good investment. There are two types. A pre-paid plan allows for the purchase of tuition credits at current prices for the future. With a savings plan, the account earnings are based on the market performance of the underlying investments which are typically mutual funds. Remember, though, your kid has a lot longer to pay off their student loans than you have to save for retirement. Never raid your retirement account to pay for college. There are plenty of grants and scholarships available to kids who don’t have parents who can afford to foot the whole bill. It was a good start to saving towards retirement when you took your $1000 and opened an IRA but now we want to crank things up. One of the best ways to accumulate wealth is to avoid taxes and there are ways to do that legally. You don’t want the IRS on your back. An IRA is one way to minimize taxes. You win twice with a Traditional IRA. 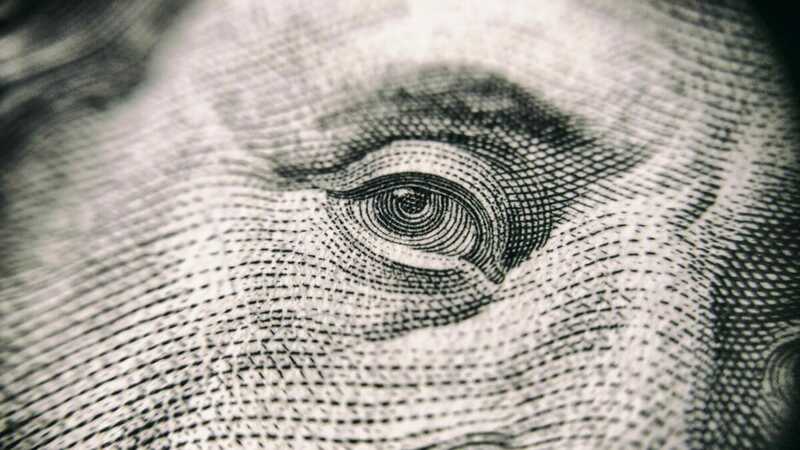 You lower your taxable income now, when you’re earning more than you are likely to be in retirement and when you retire and withdrawal the money, it will be taxed at a lower rate. Take $5,500 (the IRA yearly contribution limit) of that $10,000 and max out your account for the year. Use that $10,000 to build a portfolio of dividend stocks. When you own stock in a company directly or through a fund you may receive dividends. A dividend is a distribution of a portion of a company’s profits. Most companies don’t offer dividends, and if they do, they can cancel them if it’s a bad time to make a payout. Companies can increase dividends if times are good. Bigger, well-established companies are more likely to pay out dividends regularly. Companies in certain sectors including oil and gas, financial, healthcare and pharmaceuticals, historically have had some of the highest dividend yields. An aristocrat dividend is a company that has continuously increased the number of dividends it pays to its shareholders. To be categorized as such, a company must typically have increased dividends for at least 25 years. Coca-Cola and McDonald’s would be two examples. The S&P 500 has a fund called The S&P 500 Aristocrat Fund that has over the last five years had a rate of return of 17.56%. You can invest in The S&P 500 Aristocrat Fund through some ETFs (exchange-traded funds). The index fund is composed of 53 companies spread over ten different business sectors. Some of the companies are 3M, AT&T, Chevron, Hormel, and Target. You can also buy individual stock in dividend aristocrat companies. The bottom line is, no matter how much money you have or don’t have, there is a way to use it to help secure your financial future. I know it’s more fun to blow that extra money on any number of things, dinner, gadgets, a vacation. But always remember not to give up what you want most for what you want now. If you’ve been sitting on money you didn’t know where to invest, now you know. Get started!